Ever since its initial announcement three years ago, fans have been revved up for Square Enix’s Final Fantasy VII Remake, along with the idea of playing their favorite heroes again in a whole new light. But some new details indicate that the game isn’t nearly as far into development as some may suggest. Part of that comes from the news regarding Square Enix abandoning the work that was done by its development partner and starting over from scratch. A while back, the company partnered with CyberConnect 2 to handle the action gameplay, as well as work on some video quality issues. But reports indicate that this past year, it dumped all its progress and is building everything back up again -- setting the game back further than expected. But hold on, because it sounds like things might be worse than that. In a recent Reddit thread, Dan Tsukasa, a game designer who served as Final Fantasy VII’s art director, had plenty to say about the project -- and it sounds like it’s on the brink of chaos. “When has a company taking work away from another company ever been a positive sign of things? I know CyberConnect’s work was unusable, I’ve worked with them before, i know their level,” he said. And then he was asked if he knew anyone working on the development team at the time. “Yup, its the game industry in Tokyo, Square’s so large it’s rare to meet someone who doesn’t know anyone there. “I’m unsure how to prove it though, I can’t get into any issues by saying what I’ve heard, or what’s common knowledge in the industry here (the common knowledge being that the project was taken from CC2 because it was so behind schedule), but if I were to name anyone working there, they’d get into trouble for sharing information, the same way I’d get into trouble if I shared information about where I work. Since that time, Tsukasa has apparently deleted his social media accounts, as well as his profile over at ArtStation, so we’re not sure what to make about any of this. Square Enix hasn’t said a word about the project in some time, so at this point, your guess is as good as ours. Could we be seeing an update at E3, or will the publisher delay the project further? We’ll find out in just a few short weeks. 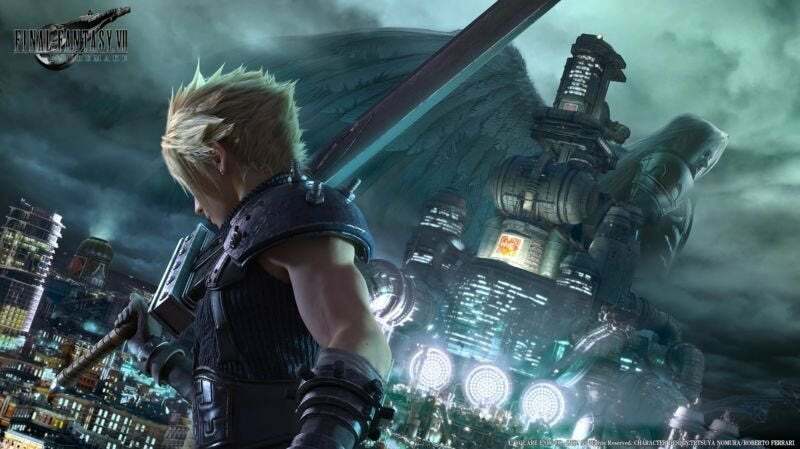 Final Fantasy VII Remake was originally set to release on consoles. It currently doesn’t have a release date.